Sounds Heavenly was established in 2004 by Steve Marriott, who still manages the company on a daily basis. By 2009, Sounds Heavenly had grown to become the UK's leading independent manufacturer of cables for Bang & Olufsen audio systems, supplying high street stores, multi-national companies, installation engineers and members of the public Worldwide. You can see some of the highlights from our company history in the Timeline section below. Steve bought his first Bang & Olufsen product (a 1977 Beocenter 3300 receiver) from a junk sale at the age of 13 and spent the next 6 months repairing it and restoring it to showroom condition. This was the start of a life-long love affair with Bang & Olufsen's design. Steve has worked in the UK Electronics industry since graduating in Electrical and Electronic Engineering in 1996. Whilst working for several specialist telecommunications and cabling companies during this period, Steve has worked on audio and video technology for the transport industry, public broadcasting and military applications, giving him unrivalled access to key electronics technology and industry contacts when he established Sounds Heavenly. He is married to Lynn and they have two daughters. In 2012, Steve was honoured to be invited to visit Bang & Olufsen's current factory in Struer, Denmark, as well as "The Old Farm" in Quistrup, where Peter Bang and Svend Olufsen founded Bang & Olufsen in 1925 and also the Struer Museum, which showcases many historic Bang & Olufsen designs. Since 2009, Sounds Heavenly have been proud sponsors of the BeoWorld Forum, the World's number one independent B&O community website. We value our customers and are pleased to be able to support this excellent information resource. Sounds Heavenly take pride in customer service and our continuing 100% positive feedback records on both eBay and Amazon reflect this. As a Christian company, Sounds Heavenly is run on ethical lines. We always aim to provide a personal and professional service, whatever your requirements. Wherever possible, we source our products from developed countries where workers are paid a fair wage to work in safe conditions. We are working with our suppliers to ensure that none of our products contain conflict minerals, ie. those mined in areas of Africa where warfare is causing human suffering. The majority of our cables are developed, finished and tested in the UK by our experienced team of Electronics Engineers. Our offices are open five days a week, as we close on Saturdays and Sundays. We aim to respond to enquiries and ship orders within 48 hours of receipt and over 90% of orders are shipped on the same working day that payment is received. We will always send you a personal email to confirm the shipping details for your order and give you direct contact details for the member of our team who is handling your request. Our products are available for sale on this site, as well as from a growing number of Bang & Olufsen stores and resellers across UK and Europe. Our cables now are in use by many high profile customers, including sports stars, prominent musicians and also members of several royal families. We encourage you to contact us if you would like to know more about what Sounds Heavenly can offer you. Sounds Heavenly start trading on eBay UK. Full range of high quality B&O audio cables launched. First bulk cable orders received from customers in the audio trade. Sounds Heavenly begin full production of our most popular cables in the UK. The first of many cable orders received from franchised Bang and Olufsen dealers. Sounds Heavenly are proud to become sponsors of the BeoWorld.org Forum - the World's number one independent B&O community website. We value our customers and are pleased to be able to support this excellent information resource. Sounds Heavenly become the sole UK distributor for Cavus specialist cables. Cables supplied to Audi AG for use on their official stand at the Frankfurt Motor Show. First order placed by Bang & Olufsen UK for their direct owned stores. Our online store opens on Amazon UK. Our new custom-built workshop opens in Melton Mowbray with dedicated stock room, office and product development facilities. Steve is invited to a tour of the Bang & Olufsen factory in Struer, Denmark. Steve is invited to visit "The Old Farm" in Quistrup where Peter Bang and Svend Olufsen founded Bang & Olufsen in 1925. Sounds Heavenly pioneer our new high-end cable range, using silver plated OFC wiring and professional quality gold connectors. Our dealer shopping cart is launched to give online order processing and priority shipping for our trade account customers around the clock. Sounds Heavenly have the honour of providing cables for our first royal customer. Following reviews with our supply chain, all of our 5 pin and 7 pin DIN plugs have been verified as being free from conflict minerals. The solder and 3.5mm Neutrik/Rean minijack plugs used in our high-end cables have also been verified by our suppliers as being free from conflict minerals. Our new website is launched at www.soundsheavenly.com to showcase our expanding product range. 5,000th eBay feedback received at 100% positive! Sounds Heavenly carry out a subwoofer installation and 7.1 channel surround sound speaker calibration for a client with a 106 seat cinema. Our cables for the iconic 1963 Bang & Olufsen "Rondstraler" tweeters are launched as the only brand new parts on sale for these classic speakers anywhere in the World. Sounds Heavenly launch our "fastest" cables ever - intercom splitter cables for Harley-Davidson motorcycles! Our new range of musical instrument cables begins with the launch of our high quality MIDI (Musical Instrument Digital Interface) cables for electronic pianos. Sounds Heavenly are proud to become a trade member of the Art of Sound forum! We are pleased to confirm that we now have a site-wide SSL certificate in place to ensure that our website is safe and secure for all of our customers. Five years after launching our online trade store for Bang & Olufsen stores and AV installers, we have fully updated this to give our trade customers access to all the facilities available in our popular retail website. 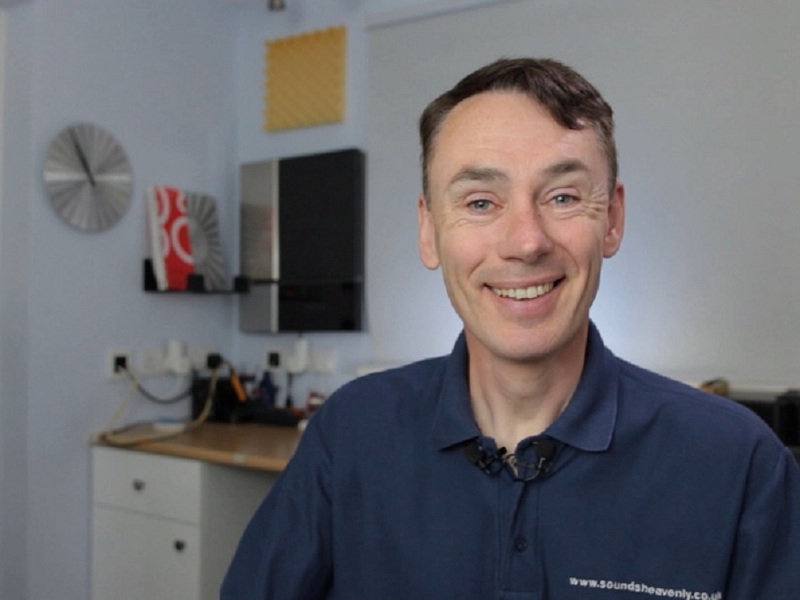 Our new YouTube Channel is launched, with video guides on connecting new and classic audio systems. Please visit out store to experience our products and customer service for yourself!